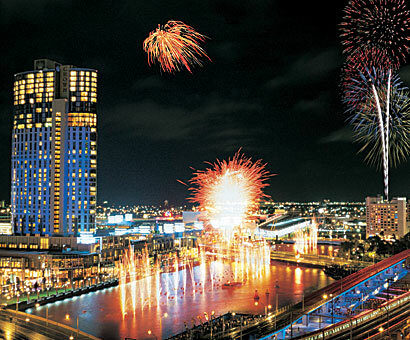 The flagship Crown hotel and casino established the prestigious brand that has now moved into Asia and the United States, but Melbourne's Crown will always be the benchmark. The billion dollar complex includes a 500 room "beyond luxury" hotel, 1600 seat Palladium ballroom, 800 seat showroom, 32 restaurants, 40 prestige retail shops, a 14 cinema multiplex and five major nightclubs - and Spectak's challenge was to open all of them simultaneously with maximum fanfare and style. Spectack also produced the Opening Ceremony in the main atrium, bringing together hundreds of performers, the Victorian State Premier cutting the ribbon live on national television, fireworks, dancers, Chinese dragons and huge media coverage for the event.